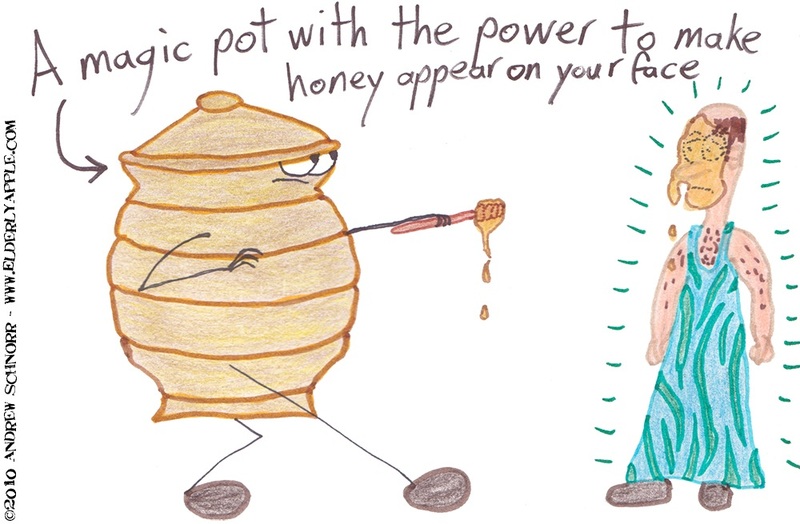 Also, I only found out after creating this that you actually can put honey on your face to clear your complexion, fixing acne and dry skin. And that changes everything! Now this rapscallion pot is no longer malevolent in his doings, he is dermatological! He's just like the wicked witch of oral hygiene: a bit overt in methods, but still with the best of intentions. true fact: honey is, like, bee vomit. you're eating bee vomit.